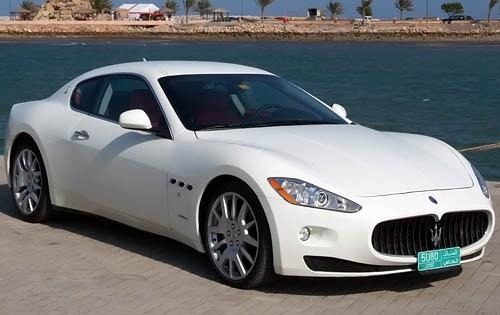 Maserati North America, Inc. is recalling certain Quattroporte, Granturismo, and Alfa Romeo vehicles over a suspension corrosion problem that may lead to loss of driver control. Affected by the recall are 7,438 model year 2005-2008 Maserati Quattroporte, 2008 Granturismo, and 2008 Alfa Romeo 8C vehicles. The vehicles in question may be equipped with rear tie rod assemblies that were not manufactured with sufficient anti-corrosion material. As a result, the tie rod assembly may become weak and possibly fail. Failing tie rods may result in a loss of vehicle control, according to the National Highway Traffic Safety Administration. Documents filed with the NHTSA indicate that the main warning sign that drivers should be aware of is a noisy rear suspension. Although 7,438 vehicles may not seem like a large amount, Maserati’s recall is substantial considering it only sells about 2,000 cars per year. Maserati will begin notifying customers of the recall by the end of June. Authorized dealers will replace the rear tire rod assembly at no cost to the owner. The repair will take approximately 3.4 hours to perform on a Maserati and 3.6 hours on an Alfa Romeo. In the meantime, owners may contact Maserati at 1-877-696-2737. Maserati’s recall campaign number is 205. Concerned drivers may also contact the National Highway Traffic Safety Administration’s Vehicle Safety Hotline at 1-888-327-4236 or go to www.safercr.gov. The NHTSA campaign number is 13V196000. The luxury automaker first became aware of the problem after it received 5 warranty claims pertaining to rear suspension corrosion. Consequently, Maserati began investigating the issue, and later determined that affected parts were not manufactured with the proper amount of anti-corrosion material. Despite being the first recall for Maserati this year, the luxury automaker recalled the Quattroporte and Granturismo twice last year. In February, Maserati recalled 1,800 model year 2008-2010 Granturismo models over a taillight defects. The recall affected vehicles manufactured from June 2008 through March 2010. Click here to read Torque News’ coverage of last year’s taillight recall. Maserati also recalled 485 Granturismo and Quattroporte luxury vehicles in October due to a tire pressure monitoring system (TPMS) defect. According to the recall notice, the TPMS may malfunction because of a software error, which may prevent the driver from being notified of a low tire pressure occurrence. In the event that a driver continues driving with low tire pressure, the tire may fail, increasing the risk of a crash. Where is the Maserati Alferi? 2017 Maserati Levante vs. Lexus RX 350 Which Style Is Better?